In Iraq, two U.S. backed militia leaders have said Al-Qaida is trying to bribe members of their group to return to the terrorist organization. 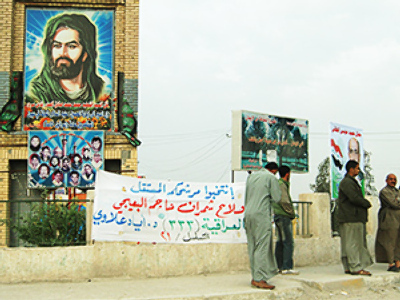 The Sons of Iraq grew out of a series of mini-rebellions against militants associated with Al-Qaeda that started in late 2006. They soon grew into a success story in Iraq, which was capitalized on by the then-commanding US General David Petraeus, who agreed to pay each member a $300 monthly salary and used the rebels as a tool to quell the violence. Moreover, it is feared the departure of American troops at the end of August is being exploited to attract new Al-Qaeda members. Tariq Azziz, Saddam Hussein's former deputy, has accused President Obama of “leaving Iraq to the wolves,” saying US troops should stay. “His words were a direct challenge to the White House, which is saying that this job is done, that institutions are ready to take over, including the army, and that the foundations of a new Iraq have been laid. If you look around the country, there are many people who would dispute that,” Chulov believes. However, Afghan war veteran Jake Diliberto says Al Qaeda is growing because of America's extended presence in the region.